At the Center for Pain Management, our physicians are specialists in the diagnosis and treatment of a wide variety of pain conditions. We begin with a thorough initial consultation where we focus on establishing an accurate diagnosis and identifying the possible causes of your pain. Then, we work to not only reduce and manage that pain, but also to increase your activity level, improving your chances of returning to work and reducing medication doses. Our ultimate goal is to improve your quality of life. Pain is a necessary part of our existence. When you place your hand on a hot stove, pain is what alerts you to remove it to minimize harm. However, as neuroscience has evolved, researchers have recognized and documented that pain is much more complex than we originally believed. In fact, there is a point at which pain ceases to be protective and can become a disease state of its own. Pain is defined as an unpleasant sensory and emotional experience with actual or potential tissue damage. It can be short-term — also known as acute — such as the pain following a surgery. It can also be long-term or chronic, such as low-back pain. Pain encompasses a vast number of conditions and can arise for many different reasons such as surgery, injury, nerve damage, cancer and diabetes. Pain management isn’t just about taking pills. Pain has to be managed from a physical, psychological and social standpoint. At the Center for Pain Management, our physicians are all board-certified anesthesiologists who have completed fellowship-level training to manage both acute and chronic pain. Patients often turn to a physician to have something fixed or cured. A chronic pain condition, however, is often times not cured but managed, similar to diseases like hypertension, diabetes and arthritis. Once your chronic pain is well managed, you can return to your normal daily activities. At the JLR Center for Pain Medicine, our treatment plans focus not only on reducing your pain, but preparing you to have the tools to continue managing the problem throughout your life. Chronic pain is a complicated disease process that has, until recently, been treated primarily with non-steroidal anti-inflammatories, narcotic pain medications or surgical intervention. Many patients want to avoid those options, or they have tried one or more of these approaches to pain relief only to be disappointed. Interventional pain management relies less on the traditional use of narcotic relief to simply mask symptoms and instead focuses on establishing the underlying diagnosis to better direct future treatments. 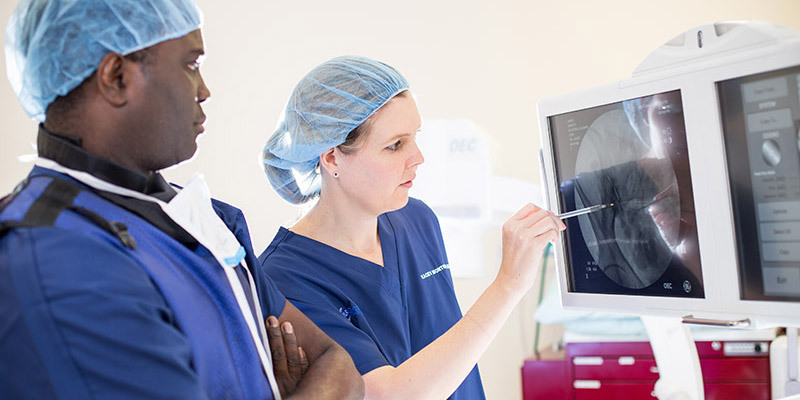 Interventional modalities are minimally invasive procedures that, when used properly, can provide substantial diagnostic information and open up avenues for long-term relief. This includes using effective procedures for diagnosis and treatment such as epidural steroid injections, selective nerve blocks, joint injections, physical therapy and other interventions coupled with more direct involvement by patients in their own care. At the Center for Pain Management, our interventional approach to pain management has helped many patients pinpoint the source of chronic pain and also implement a solution for long-term relief. Because no two patients experience pain the same way, we believe in taking a customized approach to help reduce pain and maximize function. 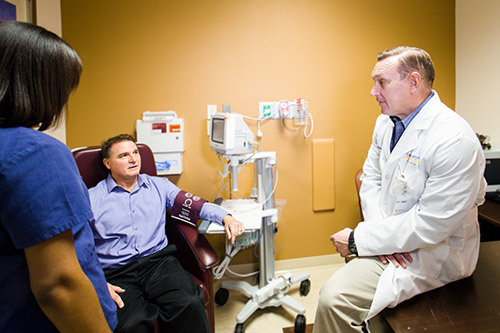 Our physicians fully evaluate each patient individually and tailor a treatment plan to your specific needs. We also design our treatment plans so that they can be adjusted based on your progress. This allows us to work in partnership with you to achieve the best possible long-term pain management results. In addition to customized treatment plans, we also believe in taking a comprehensive approach to address all aspects of your pain, facilitating and coordinating additional services that could enhance your care. These include physical therapy, psychological therapy, and rehabilitation programs. There are treatments that address the physical aspect of pain, like injection therapy or targeted medication therapy. However, upon reducing the pain, rehabilitation efforts like physical therapy can help recover your function. And improving your strength and flexibility will increase activity levels, which in turn, can further reduce your pain. In addition, for some patients, mental and emotional aspects of pain are significant and must also be addressed. This can be done with the assistance of a pain psychologist. Some patients may not need all arms of treatment, and others may need a full range to make achieve the best possible outcome.